Back in 2004/5, many people marveled at how, at the tender age of 29, I was standing against three dozen Gedolei Torah aged 70-100. Some saw it as demonstrating amazing self-confidence; others, understandably, saw it as appalling arrogance. "It's like a first-year medical student disputing all the world's top doctors!" said many. It appeared to be a ridiculously uneven playing field. How could I possibly dare to presume that I was right? In truth, those who know me personally are well aware that I am greatly lacking in self-confidence. During the year and a half over which the controversy over my books unfolded, I was in a state of extreme anxiety. Every day I would ask myself: perhaps the Gedolim are right and I am wrong? And I would have to work through the entire topic in my head, and speak to others, before I was reassured. When I heard over the grapevine about various books that were going to be written against me, I was terrified. What would they say? What if they showed me to have indeed written lies and heresy? So how did I dare to hold my ground? One of the reasons was that it gradually dawned on me that it was indeed a highly uneven playing field, but it was one which sloped sharply down away from me. The analogy to the first-year medical student and the world's top doctors was deeply flawed in several ways, and I had an immensely powerful advantage. It became clear that the fact of my distinguished opponents being thoroughly dedicated Torah scholars with many decades of learning was not at all something that counted against me. For they were not dispassionate academic scholars of intellectual Jewish history, who were objectively evaluating whether my books were grounded in traditional rabbinic writings. Rather, they were people who had been exclusively educated in, and become passionate lifelong devotees of, a particular approach to Torah - specifically, the anti-rationalist approach. They had received virtually no exposure to the writings of those who espoused the rationalist approach, and what little exposure they had was through a strictly anti-rationalist lens. Furthermore, they had virtually no experience in dealing with conflicts between Torah and science. Thus, my opponents' greater religiosity and added decades of study did not at all give them an advantage from a scholarly perspective. Rather, it simply explained why they were so utterly closed to, and even unaware of, the rationalist approach. It's an approach that went deeply against their education and their treasured religious beliefs, and so it wasn't at all surprising that they claimed that it never existed. It's not comparable to a first-year medical student disputing all the world's top doctors. Rather, it was like a first-year medical student from a university of Western medicine insisting to a group of Chinese practitioners of Eastern medicine that Western medicine is indeed legitimate. But not only did my opponents not have an advantage over me; they were actually handicapped by a severe disadvantage. Rationalists (with certain exceptions) have always been perfectly willing to accept that there were those who insisted on learning Genesis literally and who insisted that the Sages were infallible in scientific matters. We merely insist that there were also those who allowed for non-literal interpretations of Genesis and who stated that the Sages were indeed fallible in their statements about the natural world. My opponents, on the other hand, were not just claiming that their own approach to these topics had a traditional basis; they were claiming that my approach had no basis. It's always much harder to prove a negative than to prove a positive. And given that Jewish history is rife with disputes and differences in Torah thought, in particular with regard to the rationalist versus mystical approaches, it's extremely difficult to claim that a rationalist approach does not have a traditional basis. My opponents not only had to argue that Chazal's statements about the natural world were correct (itself very difficult to argue for, because it's so obviously not true), but also that nobody had ever claimed differently! You'd have to claim that my sources did not actually exist or were for some reason irrelevant. Certain people indeed tried such claims - accusing my sources of being forgeries, or "paskened" false - but clearly such claims were exceedingly weak. The ultimate litmus test became the topic of the sun's path at night, where my opponents had to insist that the Maharal's approach (or a variant thereof) was the only authentic approach, whereas it was clear that Maharal himself was a radical revolutionary, and that there was a long list of prominent Rishonim and Acharonim who took the rationalist approach. This is also why I wasn't afraid when I wrote a letter to Tradition to challenge Rabbi J. David Bleich, an exceedingly brilliant but decidedly non-rationalist Torah scholar. This was after he published a supposedly comprehensive discussion of halachic literature relating to spontaneous generation, yet neglected to mention the [eminently reasonable] view of the rabbinic authorities who stated that Chazal believed in spontaneous generation and were mistaken. 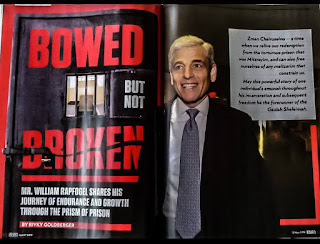 A colleague of mine warned me that Rabbi Bleich would react very strongly, and indeed he did; he wrote a fifteen-page response which was laced with nasty put-downs. But I knew that there was no way that he was going to be able to wish the rationalist sources out of existence, and indeed he couldn't. Instead, he made himself look rather foolish, insisting that spontaneous generation has not been discredited (! ), and/or that Chazal never believed in it anyway and all the rishonim and acharonim who explained Chazal that way were mistaken (!!). Even all this did not explain why he neglected to mention the view of those who take the rationalist approach, and eventually he was forced to concede that such a view does indeed exist. (See the extensive discussion in this PDF). I'm not a genius, I'm not a brilliant Torah scholar, and I'm not self-confident (or at least, I wasn't back then; going through that crucible worked wonders for me). It's just that I had every advantage. I think everyone realizes that there are other approaches, now and in the past, but they don't want anyone in their own philosophical/religious camp to start rooting for the other team. If your ideas hadn't been making any headway in that regard, your opponents might not have have bothered with their campaign. "I think everyone realizes that there are other approaches". Most certainly incorrect. For example, the Hassidim in general. As alluded to in the above article. You showed many of us that the emperors were, at best, scantily clad. You have our eternal gratitude for that. Can you please post a link to Rabbi Bleich's concession? It's buried at the end of his long rejoinder to me in Tradition. It's also on page 8 in the PDF that Rabbi Slifkin linked near the end of this post. I find this post to be in EXTREMELY poor taste, given the recent petira of Rav Moshe Shapiro zt"l.
I find your comment to be in extremely poor taste. Vehamayven yavin. I don't mean to be flippant, but considering the ages of many of those involved, the way of the world is that it will thus never be the right time. That's the only thing you find in poor taste? Nachum: "considering the ages of many of those involved, the way of the world is that it will thus never be the right time"
Sorry but that's absurd. Two days after the petira of one of those leading gedolei torah is in poor taste. Noam: Whatever was the intention of this post, it doesn't change the fact that it is in extremely poor taste. As if Slifkin doesn't know that Rav Moshe Shapiro, one of the leaders of the ban, just died? Come on. This post is a bush league cheap shot. Could you explain how this post is a cheap shot? For one thing, who was shot? Considering what Rav Moshe Shapiro and the other gedolim did to R. Slifkin, most people would see him as very restrained. I'm pretty sure that a certain old woman who was beaten half to death thought that the effusive hespedim were in bad taste. Sass, you anyway disagree with this post. Only your pain excuses you from reminding people about הגר"מ's role in the cherem. If they will throw mud at him right after his passing it will be to your credit. Where's the Sechel? BTW, I found out about his petira on Monday. ...Rather, it simply explained why they were so utterly closed to, and even unaware of, the rationalist approach. In other words, you are saying that the Gedolim (along with Maharal) are unaware of the writings of Rishonim, Acharonim, Rambam and all those who you are claiming supporting your position? It's not as though there are a lot of writings on this topic. We are talking about scattered comments. Considering that there are about a hundred thousand seforim in the average Otzar, even someone who learns 18 hours a day for 90 years is only going to cover a fraction of what's out there, and is not going to be proficient in the statements of Rishonim/Acharonim on this topic. The only really dedicated work on this topic is the Moreh, and that's something that most people today (even Gedolim) have never learned, or who learn with a particular anti-rationalist lens (e.g. claiming that Rambam was a closet kabbalist). Maharal himself was presumably aware that his approach to topics such as the sun's path at night was different from all the Rishonim, and felt comfortable doing so. Over at the Daas Torah blog, Rabbi Eidensohn says that R. Moshe Shapiro held that Rambam didn't really deny the existence of magic. Rav Hirsch'es following is probably larger than Rav Shapiro's, so reading Rambam like RH is certainly legitimate. By the Way, Rav Hirsch'es letter to R Wechsler was publisher in Hamaayan 5736.2 but unfortunately is missing at http://www.hebrewbooks.org/home.aspx כותר:המעין. It would be nice if someone could upload it. In which case among scattered comments and hundred thousand seforim there could be plenty comments supporting the opposite view. Since Hashem promised in the Torah that the Torah will never be forgotten, He assures that the leaders of the generations will correctly interpret it, although for different generations different interpretation nuances may be proper. There are indeed plenty of comments supporting the opposite view. I stated as such in the post. If you want to claim that the Gedolim must be right because they are the Gedolim, then there's no point engaging in any discussion of the issue. The text does not say G_D created "the heavens and earth". It says the sky and the dry land. Furthermore, the sky was felt to be water (this is even in the Gemara). Adam is referred to as ha Adam most of the time. There is no place else in the Torah where a persons name is preceded by the definite article. Even in English, it is never used in this way (except for "the Donald"). The consensus is that ha Adam means a generic human being, not a specific person. This supports Rambam's view that the story is allegorical. It has nothing whatsoever to do with science so there is no conflict with science.Even the first word is incorrectly translated as "In THE beginning, implying a unique point in time, when it more accurately translated as "In beginning". This is just the tip of the iceberg of mis-translation. The bottom line is that Charedim are defending and have adopted the King James Bible viewpoint, not what we see in the text. I have great respect for Rabbi Slifkin. However, even he appears to be understandably afraid to point out the real problems - Christian interpretations adopted by his opponents.Sorry, but Christianity, neoplatonism, and Islam have had significant effects on Judaism. Rabbi Slifkin has chosen to answer his critics with TOSTOS- this one said, that one said.The problem is that you can always find someone to support your viewpoint- or the opposite- with this method.I look forward to Rabbi Slifkin tackling the translation issues with his usual rational approach. Larry, your knowledge of the subject appears to be limited. The traditional translation of the first verse is not simply copied from the King James translation, but is a proper translation of the Hebrew verse. Your demurrals have little substance. The Hebrew 'shamayim' is a more general term than sky. The latter is more properly designated as 'rakia'. Nor is the sky considered to be 'water'. Rather, it was interpreted as 'containing water' (sah mayim). Nor is the Hebrew 'eretz' dry land. The latter is termed 'yabasha' in the creation narrative. The problem with your would-be translation of the Hebrew 'Bereishit' as 'In beginning' is the next word 'bara' meaning 'created'. 'In beginning created' is ungrammatical, if not meaningless. Rather, the traditional translation "In the beginning (of time), GOD created.. (the parenthetic addition is mine) is perfectly reasonable even if the modification of the unexpressed noun (time) is unusual. Parenthetically as well, you keep referring to the commentary on Talmud with its dialectic style as TOSTOS. That betrays an ignorance of that basic commentary of the TOSAFOT (the word means 'additions', i.e., additions to Rashi's commentary. Larry, if you have other sources that Christianity et al influenced Judaism good for you. But anyone who knows the language can write a simplistic easy-to-read translation without outside help. The consensus is that ha Adam means a generic human being, not a specific person. The consensus, really? G-d created human being without human's mates, who was given to them later, right? Feminists would be very upset by your interpretation. 1.HaNibal: Sorry, but the Wiki list does not include Adam. The names you For point to (like your own!) have the “ha” as an intrinsic part of the name. With Adam, we see HaAdam and later Adam, making it clear that the “ha” is a definite article attached to the name. A definite article implies that Adam is a common noun, not a proper noun. Most scholars, and even some recent translations, translate HaAdam as the Human being. The work “ish” is not used to describe Adam until after his “operation”. 2.For Anonymous. Your lack of knowledge of the subject is evidenced by your use of ad hominems. I don’t know where to start. Let’s go to the real issues. a.Do you think the world (and the universe) are 5777 years old-yes or no? b.Do you think that dinosaur bones were put out there to “test us” – yes or no? c.Do think people in biblical times understood that earth was a planet? I am unable to dialogue with you until you come clean on these issues. e.The Raqua is a vault or membrane keeping the water from deluging the earth. f.TOSTOS is my tongue in cheek term for arguing scientific or factual questions in terms of quotes by sages. It has nothing to do with Tosfos. 3.For Queen Anne: I suggest that you familiarize yourself with the history of English translations of the Torah. It is not a simple matter to translate one language into another. All sorts of biases etc. can be introduced. I have found that too many observant English speaking Jews read the Torah through the King James filter and it is almost impossible to change this. The first orthodox English translation was by Areyh Kaplan in the 1980s. Like all translations, it leans heavily on those that preceded it. Y Aharon, you made just one error, I think. Larry wrote what TOSTOS means. It's an acronym for "this one said, that one said"
For Anonymous. Your lack of knowledge of the subject is evidenced by your use of ad hominems. I don’t know where to start. Let’s go to the real issues. Larry, that comment was signed by Y Aharon. He is certainly no young earth creationist. He is not arguing for a literal interpretation. But that doesn't mean that your claim of mistranslation is valid. It needs to stand on its own. The plain meaning of the text implies that there is a layer of water over the skyshell (Rakia). Presumably this is where rain comes from and where the water for the flood came from. It is not clear how this supports your contention that a proper translation would solve all the issues. The Rambam interprets this allegorically, but again, I don't see what this has to do with mistranslation. Larry, you had written "There is no place else in the Torah where a persons name is preceded by the definite article." I was questioning that claim, but let me do better this time. In Numbers 13:22, you will find "ha'anak." Ramban explains the first word of Breisheis as, "In the beginning". I'm pretty sure he precedes the King James version. He also precedes the chareidim. I find some of these comments quite interesting. It appears that many do not realize that the study of biblical Hebrew and its grammar has advanced tremendously since the days of Rashi and Ramban. To even quote them to explain grammar is not much different than quoting the sages of the Gemara to explain scientific problems. Modern scholars now have access to ancient documents and cognate ancient Middle Eastern languages that our sages of the early Middle Ages could only have dreamed of. They were also limited by their scientific knowledge, with Ramban basing some of his interpretation on the four “elements” of fire, air, earth, and water. That being said, even Rashi and Ramban had serious questions about the translation of the first few words of Beresheis (see the ArtScroll Beresheis commentary, for example). It may be shocking to you, but most modern scholars do not think that Beresheis is referring to creation ex nihilo. In fact, we even have a paper trail to show how this idea arose out of a conflict in early Christianity. In addition, a growing number of scholars feel that the verb “bara” ,as it appears here, refers to separation (see the work of Van Wolde), not creation. In general, to try to determine what the Torah meant to people in biblical times can destroy the deeper meaning (see James Kugel’s writings). However, when whole new interpretations leading to absurdities such as Young Earth Creationism become so popular, this becomes a necessary exercise. Beresheis has many important moral and religious messages. To take it as some sort of scientific document is to ignore these meanings (one might even say it is a deliberate attempt to ignore those meanings). I would suggest you research all this on your own- the literature is too vast for me to quote. However, if you use Rashi, Ramban, etc. for anything other than spiritual guidance, you will never understand this stuff. For David Oshie: the view of the ancients was simple. The sky is blue, just like the ocean, water pours down from it when it rains, and we are saved by the rakia which opens only a little for rain. Implicit in your answer is that shamayim (hint.. “mayim”) is water, not the cosmos. I would think your own conclusion makes my point. With respect to Anonymous, aka “ Y Aharon” he cannot get out of the TOSTOS mode of reasoning and is either a closet Young Earth Creationist or afraid to categorically state that he is not. I would also add that scientific theories change all the time. Einstein thought the universe was eternal until later data proved him wrong. The Big Bang may not be the last theory. Conclusion: interpretation of Torah as science is not productive. For HaNibal: You just made my point. Anak, per Jewish translations to English, is translated as “giants”, not a proper name. Look for yourself in the Metsudah translation or in the ArtScroll Stone. Guess where anak is translated as a name? You got it. The King James Bible! For David Oshie: the view of the ancients was simple. The sky is blue, just like the ocean, water pours down from it when it rains, and we are saved by the rakia which opens only a little for rain. Implicit in your answer is that shamayim (hint.. “mayim”) is water, not the cosmos. I would think your own conclusion makes my point. But there is no actual sky-shell holding up the waters above. So how does mis-translation factor into anything. I would think your own conclusion makes my point. With respect to Anonymous, aka “ Y Aharon” he cannot get out of the TOSTOS mode of reasoning and is either a closet Young Earth Creationist or afraid to categorically state that he is not. This silliness discredits everything else that you say (which I admit not reading very carefully). Targum Yonasan says that Anak is a proper name. As does the Septuagint. R' Natan was hardly the first to question the prevalent Hareidi/yeshivish approach to torah and science issues, but he was one of the first from their world to do so openly. What was more galling to these men sitting at the top of their world was that he was already established as an 'acceptable' author. He thus represented an unusual danger in their eyes of someone who could persuade significant numbers in the Hareidi camp to question the world view of their leaders. We are in debt to R' Natan, not so much for voicing an articulate and rational view of the subject - there are many who held such views, but for his courage in maintaining his position despite ugly personal attack. Indeed, it was the vehemence of such attack and its patent unfairness that made R' Natan into a heroic figure when he stood his ground. It also exposed the weakness of the traditional position and the unethical behavior of its would-be proponents who felt the need to resort to such methods. Yasher koach to R' Natan for fighting the good fight and remaining steadfast in the pursuit of truth. These posts have been our 'pay no attention to the man behind the curtain' moments. R' Natan, did the fact that the "gedolim" judged in an obviously grievously unjust manner - i.e. not given an opportunity to defend yourself, judges did not/could not actually read your book, etc- contribution to your confidence in your position? Unless you remember that Rav Eliashiv anticipated all your objections by saying "they could say it, we can't". Brilliant move. He simply decided that any position that disagrees with his is no longer usable, leaving you with nothing. How does one argue rationally with that? Garnel, Rav Eliashiv may have felt constrained by the adamant stance of his grandfather, the author of the 'Leshem', on the alleged truth of all aggadic statements of the sages, but we need not accept either that view or that of the grandson. Those views are, in fact, irrational, and need not trouble us. @Y. Aharon: I don't think that that is it. It is that he is saying that he has a right to pasken non-halachic questions. That is what "they could say it, we cannot" means. It is the same reason that all non-charedi rabbis can be discredited; their outlook has been paskened false. David, I checked my recollection with the original listing of sources on the controversy in Zootorah and found the following statement by Rav Aharon Feldman who had visited Rav Elyshiv about the 'Slifkin affair'. "Rav Eliashiv felt that the hashkofos of the books regarding Chazal and the age of the universe are forbidden to be taught, and this despite the fact that others, even great people (such as R.Avraham ben HaRambam, Pachad Yitzchok and, in our times, Rav Dessler and R.Shimon Schwab) may have said similar things. "They were permitted to say these things, but we may not," he said. In other words, the halacha is not like them." There is no need to reinterpret the words of Rav Elyashiv. He meant what he said. The statement added by Rav Feldman about the ability to pasken non-halachic matters is a side issue that confounds policy statements with halacha. Y. Aharon, when R Elyashiv says "we may not", isn't he saying that it is no longer permitted to believe/discuss the Rabbeinu Avraham position. And if so, doesn't this imply (as R Feldman points out) that he is paskening a non-halachic issue? Also, isn't that the Daas Torah position that Rav Elyashiv and other Chareidi authorities relied on and rely on? You also had the great leveling field of the Internet. In prior generations, once your work was banned, finding an avenue to publish your rejoinders would have been very difficult. With the ability to self publish, and call out those who would suppress your opportunity to defend yourself(to protect their own self interest) to a fairly large following, gave you another advantage people in your position never had before. Wonderful post, though I would question it's accuracy. Your belief that your opponents are unaware of your position is belied by Rav Elyashiv's terse statements. I would elaborate, but in the past any posts explaining the other side, unless easily refutable, have been erased and I have no interest in wasting my time. Rav Elyashiv is in a different category than the others. He didn't claim that my sources were forgeries or anything like that, just that "it's forbidden to take that approach." No posts have been erased from this blog. Well, I have tried to explain what Rav Elyashiv meant with his statement "the mesoira is against this" and why he did not owe you the courtesy of an opportunity to answer before the issuance of a ban and my comment was not approved. Very unlikely, I almost never reject comments. Maybe you didn't submit it properly, or maybe it went to the spam folder. The ban happened in stages. Many of the early signers likely had no idea of the sources supporting R Slifkin. (Even R Slifkin wasn't yet aware how many authorities throughout history supported him.) Later R Eliashev signed and they fell in line behind him even if they actually regretted signing. (Had he come out in support of R Slifkin most of them would have retracted in some form.) When he signed, R Eliashev was understood as saying that R Slifkin has no support. Only a long time later when R Feldman spoke to him did he agree that there were those who could say it. Till then many didn't realize that. The other thing that they didn't realize was that thousands in their own communities held like R Slifkin and would react terribly to a ban. Occasionally we have a minority opinion in the sources which is somehow accepted by the later poskim. Thousands in their own communities thought that it's acceptable to understand Genesis non literally and that Chazal weren't infallible in science and never thought to tally how many authorities were pro and how many were con. Therefore even *if* the signers were correct that R Slifkin's views were a minority opinion they still misjudged what many of their own held. This is incomplete. It sounds like a one on one. Probably you tried to explain why thousands of his own followers (in the general sense) weren't owed the courtesy of an opportunity to have R Slifkin represent them before the issuance of a ban. I will just say this: I was a kiruv rebbe at Yeshivah Chaim Berlin...Like Rabbi Slifkin , I am a bit of a free thinker...When I saw fliers around Flatbush against Rabbi Slifkin, I personally went around ripping down the posters and fliers...In my mind, besides the specific attack on Rabbi Slifkin, I saw it as an attack on anybody who wasn't an exact follower. I was told by rabbis in Chaim Berlin several times "that Rav Dovid Cohen (rabbi of Congregation Gvul Ya'avitz ) had "no Yiras Shomaim - because he openly disagreed with Rav aahron Schechter and Rav Hillel David" --- Anyway, unlike Rabbi Slifkin, who was able to get a following, I started becoming an outcast in the Yeshivish world...END OF THE STORY, I am no longer frum and also pretty anti "Talmeeday Chachamim"
I don't understand why you do oppose rational and mystical point of view, Rabbi Moshe Chaim Luzatto is a clear example that the two views don't conflict if you apply them in their own context and don't mix them, see his introduction to Eyn Yakov. not even close.? your iq must be at least 145 ? you admitted your head is so big that you find it hard to find hats to measure. qed. I have kept the same doctor for many years, even though I have to now travel 45 minutes to her office, because I think she is a great doctor. I trust her advice, even when, from what I (think I) know of medicine, I am not sure she is on the most solid ground. She has, over time, proven that knows her stuff. In short, I trust her with my life. I recently had some car trouble. I took the car to my mechanic and he fixed it up in a jiffy. It never occurred to me to ask my doctor her opinion on the matter, even though I respect and trust her knowledge and opinion on other matters. Would anyone say that, since my doctor knows so much about her chosen field, and has excellent experience, that I should also consider her authoritative or credible on all other matters and I should have asked her to fix my car, especially since she is so good at fixing me? Now, I am being completely sincere here and I would like to hear some answers and explanations: I really don't understand and would like to know why we consider Chazal to have expertise and credibility on matters clearly outside of their area of knowledge and practice. Can anyone explain to me where this notion comes from that we have to consider Chazal's opinions on non-Torah matters as credible and authoritative as on matters of Torah? Indeed, would a Charedi Godol tell me that I should have taken my car to my doctor? Yet, it seems he would tell me to learn my science from someone with little or no knowledge of science -- which is not disrespectful to Chazal because nobody in their day knew much more than they did -- they did the best they could. Don't the see the contradiction here? Also bothersome to me is when they say that Chazal are always right, that they are infallible. Is that how we are supposed to hold? Now, I think that is assigning an attribute of perfection to them. But I thought only Hashem could be perfect, He is perfect in everything, and men can never be perfect in anything. I think this is an axiomatic definition for Hashem. So, Chazal, by their definition, become like G-d, in at least one way indistinguishable from G-d, and since this is not supposed to be possible, then Chazal must be able to be mistaken and are must be imperfect, which casts them from the Heavens and brings them back to Earth where I think they should belong. I don't dare even mention a word of these thoughts and ideas in my shule. I did once and they all ganged up on me, screaming "Apikorus" in my face. I was thinking I was close to finding out if my two years of Karate would be enough to fend off the entire minyan. You'd think I insulted their mother or something. Sheesh! "Now, I am being completely sincere here and I would like to hear some answers and explanations: I really don't understand and would like to know why we consider Chazal to have expertise and credibility on matters clearly outside of their area of knowledge and practice. Can anyone explain to me where this notion comes from that we have to consider Chazal's opinions on non-Torah matters as credible and authoritative as on matters of Torah?" "Also bothersome to me is when they say that Chazal are always right, that they are infallible. Is that how we are supposed to hold? Now, I think that is assigning an attribute of perfection to them. But I thought only Hashem could be perfect, He is perfect in everything, and men can never be perfect in anything." No one seriously suggested every single member of Chazal were infallible. There are many examples are in the gemara itself where individual statements of certain sages are definitively refuted. Rather, what is meant is that the conclusions of the Talmud, whether in the realm halacha or in the realm physical reality, reflect the infallible wisdom of the Creator. Because those conclusions are arrived at by applying the tools given by the Creator Himself (Torah Sheba'al Peh) to correctly analyse His law and His world. Wrt Teshuvos HaRashba 1:98, it turns out that the Rashba was completely mistaken, as pointed out by Rav Moshe. See When The Winds Blow. So that's more of a disproof than a proof. But the Rashba does explain one of the reasons that he is worried about imagining Chazal making errors: he was worried that if Chazal did made scientific errors, then the halacha could be constantly changing as more knowledge is gained. As it turns out, while it is generally true that for matters related human health, the halachah does change, we can hold the line on other matters using a variety of justifications (Rav Moshe, the Chazon Ish and the Dor Revii all give different justifications). Bereishis Rabba says that God looked into the Torah to create it just a like a human would look at his plans. Interpreted literally, this would be considered heretical, but setting that aside, we know that the methods of derivation from the Torah are loose enough to leave any conclusion subject to dispute. So the "definitive statements" are imagined. More importantly, those rules of derivation are halachic rules; they have no known alignment with any kind of reasoning used in science. Finally, no one can actually show a single instance of this supposed method actually working, let alone show that it is infallible. In fact T.B. Bechoros 8b-9a is one of those examples: the gestation period of a snake is thought to be 7 years based on one derivation from the pesukim (although the Gemara offers others that will give other numbers). But this is not the correct number, so again, this is evidence against, not evidence for. Rather, what is meant is that the conclusions of the Talmud, whether in the realm halacha or in the realm physical reality, reflect the infallible wisdom of the Creator. This goes up against the story of the Tanur shel Akhnai which indicates that the consensus of the Rabbis is followed even when it is at odd with the "original intent" of the law (and therefore, the Rabbis are infallible because they are final, not final because they are infallible). "Wrt Teshuvos HaRashba 1:98, it turns out that the Rashba was completely mistaken, as pointed out by Rav Moshe." Many people have misread Rav Moshe to think he is completely rejecting the Rashba's view. That simply isn't the case. Rabbi Sllifkin quoted him completely out of context. And as Rabbi David J. Bleich pointed out, you cannot lump the Dor Revii together with Rav Moshe and the Chazon Ish. The Dor Revii is an outlier. Everyone else interprets the Rambam to hold nishtaneh hatevah; Chazal were not mistaken about treifos for their time. we know that the methods of derivation from the Torah are loose enough to leave any conclusion subject to dispute. So the "definitive statements" are imagined. This doesn't follow logically. Just because I could dispute something doesn't mean I ought to dispute it against my better judgment. If there is a consensus of Sages not to dispute it because of their collective judgment, that makes it definitive. "Finally, no one can actually show a single instance of this supposed method actually working, let alone show that it is infallible." But its irrelevant to the question at hand. The question was where the notion comes from (in our sources). I supplied the answer to that question. "This goes up against the story of the Tanur shel Akhnai which indicates that the consensus of the Rabbis is followed even when it is at odd with the "original intent" of the law (and therefore, the Rabbis are infallible because they are final, not final because they are infallible). Again I refer you to Rabbi Bleich's salient article in Tradition. There is a trenchant distinction to be made between a mistake in legal argumentation and a mistake about the facts of reality. Any law based originally on a demonstrable mistake in reality at the time is a "taus b'dvar mishna" and has no validity and no binding authority from the beginning. BTW, let me ask you David, how did you find out that I posted here yesterday? Many people have misread Rav Moshe to think he is completely rejecting the Rashba's view. Rav Moshe says that in Olam HaEmes, the Rashba admits that he is wrong. He is rejecting Rashba's view that if you see something in nature that contradicts Chazal that you must reject it. It could be that "nature" changed or it could be that our knowledge is more up-to-date. The bottom line is that you don't have to reject scientific knowledge because it contradicts that which Chazal said. It is true that Rav Moshe preferred to say "Nishtanu Hativim" or "we know more" rather than saying that Chazal erred. However, this doesn't provide support for your position. He says nothing about Chazal achieving perfect knowledge from the pesukim or anything like that nor would that align with his theory since he understands that our knowledge of medicine has advanced over theirs. I don't know who "everyone else" is. Rambam was attacked for explictly saying that Chazal could be wrong in science. You are correct that Rav Moshe and Chazon Ish each think that the Rambam's case to be referring to changes in nature or new knowledge unavailable to Chazal rather than an error, but they are not really "interpreting" the Rambam. Rav Moshe has to force in a Girsa change, and Chazon Ish introduces a new concept not found in the Rambam. The plain meaning of the Rambam is that when Chazal's principle of Treifos appears to be be based on incorrect biology, we listen to them anyhow as the passuk commands us. What does't follow logically from what? If your method of reasoning is not definitive (and nothing outside of formal mathematics is), then your conclusions are always uncertain whether or not you have found any holes yet. But it makes no difference, because the Tanur shel Akhnai was a definitive ruling not in line with the God's "original intent". So your supposition is contradicted by the Gemara. Also, no ruling is ever definitively settled. A later Beis Din (even a lesser one) can always overturn an earlier one (at least according to Rambam). When the Sandhedrin is reinstated, formerly "definitive" rulings will be subject to change. Well your primary example from the Gemara is about something that is not true. Who else was I supposed to ask? You supplied an interpretation of sources (or at least an implied interpretation). An interpretation that can't be backed up with examples is hardly persuasive. I don't know where you are going with this. Before you said "What is meant is that the conclusions of the Talmud, whether in the realm halacha or in the realm physical reality, reflect the infallible wisdom of the Creator." Now you are saying that the conclusions of the Talmud in halachah don't reflect the infallible wisdom of the Creator, but statements about physical reality do? Darn, you caught me. Whenever R Slifkin gets a posting from you, the Batphone is immediately activated and we get together to analyze it. If it is a typical devastating critique with no response possible, then it gets "lost" in the spam folder. In the rare event that there is some opening for a response, then he assigns his lackey (me) to provide an immediate rejoinder. Or else, I saw your response, just like you saw mine. Your choice which story to believe :). The Rashba says (among other things) that we are obligated to accept Chazal did not make mistakes in science (when it comes to treifos as well as a number of other examples he cites from the gemara). Rav Moshe doesn't say the Rashba was wrong regarding this position. You want to ignore 700 years of scholarship on the Rambam? The plain meaning of the Rambam about treifos does not in any way suggest Chazal were mistaken about treifos in their time. Whether we can know for certain if Chazal's definitive statements were actually correct from G-d's perspective or not, is an interesting philosophical question, but irrelevant to the point I'm making. The question is: are we obligated to accept Chazal's definitive statements about realia as well as about halacha? The answer given by the Rashba is yes. And Rav Moshe never disagreed. The reason is obvious--because the basis for both kinds of statements are identical--they come from applying the tools given to the Sages by the infallible Creator to help them arrive at the truth. "Well your primary example from the Gemara is about something that is not true. Who else was I supposed to ask?" Ask somebody who knows that the gestation of snakes can be up to seven years. "Your choice which story to believe :). After reading your elaborate evasion to a very simple question, I'll safely assume my hunch was right. The question is: is there a source in the traditional literature that says we are obligated to accept that Chazal's definitive statements about realia were true (at least in their time) as well as about halacha? The answer given by the Rashba is yes. 1) The Rashba says (among other things) that we are obligated to accept Chazal did not make mistakes in science (when it comes to treifos as well as a number of other examples he cites from the gemara). Rav Moshe doesn't say the Rashba was wrong regarding this position. Incorrect. Rav Moshe doesn't address the issue. Rashba says that we are obligated to believe the science/realia of Chazal over our own observations. Rav Moshe states that with modern communication methods, we now know the that our observations are so strong that they cannot be rejected. So the Rav Moshe rejects the Rashba as does the Rashba himself according to Rav Moshe. Rav Moshe says that there are two kinds of halachah. In the case of human Terefifos, we update the halacha based on our knowledge in each generation. 2000 years ago someone with no working kidneys would be considered a Treifah since they lacked the knowledge of how to keep people without working kidneys alive, whereas today we know how to do dialysis and so he would not be Treifah. In saying that, Rav Moshe is saying that our knowledge of realia may be greater than that of Chazal. (Chazon Ish says the same thing, although he does hedge and say that ti is possible that modern medicine would not have worked at the time of the Gemara.). In the case of animals, the definition of Treifah is Halachah L'Moshe MiSinai and doesn't have to line up with any realia post Sinai. So there is no way that our observations can directly contradict the halachah. Here is the question that you seem to be asking: suppose that we had strong scientific evidence, (of the sort that Rav Moshe says is undeniable), that some Treifah was always able to live (or non-Treifah unable to live), even at the time of Sinai using the scientific knowledge available at Sinai (or the time of the Gemara). Would we be required to abjure? I think that Rav Moshe's answer would be that this could never happen. Either way, Rav Moshe definitely admits that modern knowledge could be greater than that of Chazal and that we can have certain scientific knowledge in modern times. 2) You want to ignore 700 years of scholarship on the Rambam? The plain meaning of the Rambam about treifos does not in any way suggest Chazal were mistaken about treifos in their time. Not sure what 700 years of scholarship you are taking about. Rambam simply says that we don't change the halacha if we find an animal that the halachah calls Treifah, that also lives. Rav Moshe offers his own interpretation which is not based on any 700 years of scholarship (although he rejects Rav Karo's explanation from about 500 years ago). Rambam also offers his own innovation on Treifos in including a missing upper jaw as a Treifah even though it is not explicit in the Gemara. Yes, but the Rashba's answer relies on his supposition that our knowledge must be faulty. As Rav Moshe points out, this option was only available in the Rashba's time when all he had was an unreliable report. In modern times, where our knowledge is based on solid observation and cannot be denied, this option is not longer valid and even the Rashba would admit that he was wrong. Also, the Rashba seems to be concerned about changing halacha and not realia in the abstract. This is not obvious at all. All of our reasoning tools come from an infallible creator; that doesn't imply that the result of the application of the tools infallibe. Again, the Tanur Shel Achnai proves the opposite is the case, we follow teh method even when the result is incorrect. 4) "Well your primary example from the Gemara is about something that is not true. Who else was I supposed to ask?" Not the gestation period, but snake can possibly store sperm for up to nine years, although no one is sure. But that doesn't align with the gemara which indicates a minimum or constant, and not a maximum: ‘How long is the period of gestation and birth of a serpent’? — He replied to him: ‘Seven years’. ‘But did not the Sages of the Athenian school couple’ [a male serpent with a female] and they gave birth in three years’? — ‘Those had already been pregnant for four years’. According to you, the answer should have been: "I mean the maximum value, not the typical value". 5) "Your choice which story to believe :). Just because you're paranoid doesn't mean that they aren't out to get you, huh? R Kornreich, I think that it would be reasonable for you to answer one of my questions. You keep repeating the claim that the definitive conclusions of Chazal are infallible and channel God's infallibility. The Tanur Shel Achnai shows that this is not true. How is it that you continue to repeat your claim in face of this contradiction? I meant to say that we must accept the definitive conclusions of Chazal about nature because their conclusions *most likely* reflect the infallible wisdom of the Creator. It is because those conclusions are arrived at by applying the tools given by the Creator Himself (Torah Sheba'al Peh) to correctly analyse His law and His world *to the best of their ability*. I never claimed we have a guarantee that their conclusions are always infallible. But that wasn't Peleg's challenge that I was responding to in the first place. (This is why I find it irksome when you routinely insert yourself into a discussion other people are having, and always manage to start a long, interminable debate on the topics that you prefer to discuss.) The Tanur Shel Achnai story is a completely irrelevant distraction to the topic at hand. 1) Rishonim (like the Ramban in his intro to his Torah commentary) believed all the wisdom of the universe is somehow encoded inside the Torah we have. This seems to come from the Midrashic idea that the Torah was G-d's blueprint for creation. 2) Then we have gemaras which record that some members of Chazal claimed they were able to figure out things about the natural world through analyzing verses in the Torah. 3) We have other gemaras which clearly say it is blasphemous (or at the very least, forbidden) to cast aspersions on the truth of non-halachic statements about the nature of the world, made by Chazal. 4) Then we have the Rashba --a very mainstream rishon-- who cites these gemaras and draws very practical halachic conclusions from those gemaras which say Chazal could not have erred in their scientific pronouncements. Look, David, you may not personally be persuaded by this approach and you may think it isn't compelling at all. That's okay. But I thought you rationalists were the tolerant ones who freely acknowledge that there can be other valid approaches to Chazal and science besides your own personal favorite? I never claimed we have a guarantee that their conclusions are always infallible. I appreciate your honesty in retreating from your position somewhat. You appear to be saying that the so-called definitive conclusions of Chazal can be mistaken. However this undermines your whole argument and implies that there is no requirement to believe that their "definitive" conclusions are actually true. 1) There is no obligation to accept things that are *most likely* true. So I don't get this: "I meant to say that we must accept the definitive conclusions of Chazal about nature because their conclusions *most likely* reflect the infallible wisdom of the Creator." What this means is the probability of any conclusion of Chazal being true depends only in part on the 99% figure. The final probability can be much lower that 99% if subsequent evidence inconsistent with the theory has been observed. This includes the possibility of a 0% probability if the experimental observations are completely impossible under the original Chazal based theory. This is why the Rambam take great care to say that we should not assume that Chazal are in error, but that when the evidence goes the other way, then we should follow the evidence. Bayes' theorem explains this quantitatively. 3) This explains one difference between halacha and realia. Large parts of halacha are self-contained such that no observation is predicted by the halacha and thus no Bayesian updating is possible based on further observation. Is melacha she'eina tzrichah le'gufah Assur or Chayav? No observation can help to tell us which is right. With realia, no matter how much confidence you start with in Chazal, you can and must update your evaluation based on new evidence. Aristotle made lots of careful observations in biology, yet thought that women had fewer teeth than men. 4) Observation and experiment are also tools given by the Creator and we see Chazal using them as well. But the Ramban then alters his interpretation of the Torah based on observation. He says that he would have interpreted the rainbow to be a new post-flood creation, but experiment shows that that you can make rainbows artificially by passing light through water, so the interpretation must be different and then he looks for support in the pesukim for his new interpretation. So even if this is the case (and he doesn't use the word "encoded", IIRC) observation is essential to the decoding and updated facts gives a different and better answer. And we have Gemaras with Rabbis asking others or studying with shepherd to get their facts about the natural world. And it is always hard to distinguish a derivation from an asmactah even in halacha. What we don't have is examples of successfully revealing new knowledge about realia purely from analysis of pesukim. We have lots of examples, if interpreted literally, that get what appear to be the wrong answer. You are correct the the gemera sometimes says that average people should not question Chachamim. The problem again is that this is in support of principles that the even some Rishonim realized did not match reality (e.g. that woman remaining unmarried for 10 years renders her infertile). In many other cases, Chazal learn things from the actions of the common people. Again, he was incorrect there and he was concerned really about changing halachah. 1) I have no problem if you want to believe that Chazal were very advanced in science. I take issue with making this a principle of Judaism where those who don't agree with you are thereby mocking Chazal and/or religiously deficient. So I object to the "we must accept them". I think that you should say "I feel religiously compelled to accept them, but others who can't accept that should read R Slifkin's book for other approaches". 2) I think that the real basis for people believing this is multi-factored and has little to do with these sources that you picked out. In any case, the question applies to the sources themselves. Why did the Ramban feel that knowledge was encoded in the Torah? 1) Both sides accept each other as non-heresy. 2) Each side targets their own audience. "1) There is no obligation to accept things that are *most likely* true. So I don't get this: "I meant to say that we must accept the definitive conclusions of Chazal about nature because their conclusions *most likely* reflect the infallible wisdom of the Creator." 1) Maybe there is an obligation. based on the assumption that if a majority of Sages of equal wisdom come to the same conclusion about a given matter that comes before them, it is most likely that the conclusion of the majority is in fact the correct one. With realia, no matter how much confidence you start with in Chazal, you can and must update your evaluation based on new evidence. Aristotle made lots of careful observations in biology, yet thought that women had fewer teeth than men." Yes, and the new evidence suggests Chazal were spot on regarding quite a number of statements that were assumed to have been mistaken --for centuries-- because no-one bothered to check them out. "4) Observation and experiment are also tools given by the Creator and we see Chazal using them as well." Yes, but when the results of those tools are claimed to contradict the results arrived at by the tools of Torah Sheba’al peh, we often find that the Sages themselves declare that the observation and experiment must have been faulty. See Rebbi Yehoshua Ben Chanina’s statement in Bechoros 8b. "But the Ramban then alters his interpretation of the Torah based on observation. He says that he would have interpreted the rainbow to be a new post-flood creation, but experiment shows that that you can make rainbows artificially by passing light through water, so the interpretation must be different and then he looks for support in the pesukim for his new interpretation. So even if this is the case (and he doesn't use the word "encoded", IIRC) observation is essential to the decoding and updated facts gives a different and better answer." "...בכולם נאמר למשה רבינו: בריאתם ומהותם וכוחותם ומעשיהם ואפיסת הנפסדים מהם, והכל נכתב בתורה בפירוש או ברמז...הכל נכתב בתורה בפירוש, או ברמיזה בתיבות או בגימטריאות או בצורת האותיות בכותבות כהלכתן או המשתנות בצורתן כגון הלפופות והעקומות וזולתן או בקוצי אותיות ובכתריהן..."
Doesn’t that amount to “encoding all the wisdom of the universe in the Torah”? "And we have Gemaras with Rabbis asking others or studying with shepherd to get their facts about the natural world. And it is always hard to distinguish a derivation from an asmactah even in halacha. What we don't have is examples of successfully revealing new knowledge about realia purely from analysis of pesukim. We have lots of examples, if interpreted literally, that get what appear to be the wrong answer." "Again, he [The Rashba] was incorrect there and he was concerned really about changing halachah. Again, he was only incorrect about the reality changing. He was not incorrect about the obligation to affirm that Chazal did not err in their scientific pronouncements. The gemaras he cites cannot be erased from Shas. Solutions to the various contradictions may vary, but the single theme that goes throughout the mainstream halachic literature is that it’s axiomatic that Chazal could not pasken a halacha in Shas based on a mistake in realia. And it’s not because “they were final”. "1) I have no problem if you want to believe that Chazal were very advanced in science. I take issue with making this a principle of Judaism where those who don't agree with you are thereby mocking Chazal and/or religiously deficient. So I object to the "we must accept them". I think that you should say "I feel religiously compelled to accept them, but others who can't accept that should read R Slifkin's book for other approaches". Although this really veers off our original topic, I'll respond anyway. Look David, neither you nor I can rewrite mainstream traditional Judaism out of existence. The fact of the matter is that any honest survey of the halachic literature will bear out that the Rashba view *about Chazal’s correctness in science* is the mainstream one, and the Dor Revi’i is a maverick outlier. Those who can’t accept that and insist on following Rabbi Slifkin, are marginalizing themselves and are opting for a religiously deficient approach to Chazal. "2) I think that the real basis for people believing this is multi-factored and has little to do with these sources that you picked out. In any case, the question applies to the sources themselves. Why did the Ramban feel that [all] knowledge was encoded in the Torah?" The midrash about the Torah being the blueprint of creation and the Ramban’s view is well known to every serious talmid chacham and it likely significantly impacts their thinking. They in turn, have great influence in molding the mindset of the frum public. I don’t see any need for some multi-factored explanation here. I humbly suggest that you thoroughly acquaint yourself with the Ramban’s intro to his commentary to Chumash and Rabbi David J. Bleich’s response to Slifkin’s letter in Tradition if you are truly interested in understanding the mindset of the traditional mainstream of Orthodoxy. "Just to delve into this a bit more. When anyone with any seeming authority in Orthodoxy tells a secularly educated person that they don't believe in an ancient earth or evolution, that person is now turned off to Orthodoxy..."
Pardon my French, but what a load of presumptuous baloney. My first-hand experience tells me that if said authority in Orthodoxy also displays a mastery of deep wisdom and critical thinking, even a secularly educated audience will hear out what he has to say and can be won over. Feedback I've received from secularly educated people about Rabbi Meiselman's book has proven your assertion to be absolutely false. The obligation to “follow the majority of Sages” (which is a binding concept in Judaism)—is in fact, according to the Sefer Hachinuch (Mitzvah 68), based on the assumption that if a majority of Sages of equal wisdom come to the same conclusion about a given matter that comes before them, it is most likely that the conclusion of the majority is in fact the correct one. You are quoting one of the most famous sources contradicting your theory of definitive statements. The Chinuch explains explicitly that you have to follow the majority so that we don't have a multiplicity of contradictory customs, not because the majority is always right. אל האמת חלילה, עליהם יהיה ההטאת ולא עלינו. "And so in our following their [the majority's] commands we fill the command of God, and even if sometimes the sages do not come to a truthful conlusion, God forbid, the sin is upon them and not upon us." It also happens that, as he mentions, in Horiot, if you knowingly follow an incorrect p'sak of the Sandhendrin, then you have sinned. And the Yerushalmi which says that you only follow the Rabbis when they tell you your right hand is your right hand, but ignore them if they say that right is left. This shows (and so does the Tanur Shel Achnai) that there is a need for conformity of practice while we 100% know that some of them are incorrect. So, we need not *believe* that they are correct. The implication for scientific observation, especially where there is no halacha involved is obvious. Let's accept for the sake of argument that Chazal were assumed mistaken before the evidence was examined in some case. The implies that you agree that when the evidence comes down the other way, you can use Bayesian updating to change your conclusion away from Chazal's statement. And we find that sometimes facts are used to disprove a teaching. See Pesachim 94a on the size of the earth being disproven because of lack of observed stellar parallax as you move from city to city (although the argument there is mistaken). Also, your example is unfortunate, as snake gestation is not a minimum of 7 years. A few points: a) No one has claimed the Ramban was capable of decoding the Torah the way Chazal were able to. Which leads to an obvious weakness. No one can show an example of how this ever actually working or why it stopped working. 2) The Ramban never “updated” Chazal’s interpretation of those pesukim about the Rainbow based on observation. So I don’t see how this Ramban is at all relevant to the discussion at hand. But he updated his own understanding and then *after* his new understanding found hints to his explanatino in the Pesukim. It seems very relevant to me that his own attempts to find Remez in the Torah looks first to the science and then back to the Torah to find the Remez matching the science. If that method is invalid, why would he use it? A Remez is not an encoding. It is a hint. Hints are intended to be understood in conjunction with other knowledge and reasoning, not on their own. It also appears that they are hidden such that the outward meaning could be completely different than the true meaning. "Again, he [The Rashba] was incorrect there and he was concerned really about changing halachah." He was incorrect in saying that you have to ignore the current science when it contradicts Chazal. In reality, the science may be correct. I don't see where this is said. They can only make a mistake in Torah, but never realia? TCS claims this, but I don't see the proof nor how it can make any sense at all. Obviously they knew Halacha better than science, not worse. Maharam Alashkar explicitly says the opposite wrt Bein HaShmashos, and the Minchas Cohen doesn't disagree that Rebbi erred in his astronomy, but says that the time of nightfall doesn't depend directly on his mistake, not that he could never make a mistake that could affect halacha. R Slifkin the Torah and Science blog have demonstrated the falsity of this. TCS is in large part dedicated to trying to answer, one by one, why each one of these doesn't mean what it appears to mean, and even then leaves out lots of sources. What happend to there being multiple approaches :)? I do think by saying that it is a religiously deficient approach you are impugning some greats such as Rav Hirsch, Rav Herzog, and RSZA. I'll call baloney on this one. Anyone educated in science knows that an ancient earth is more certain than the fact that the sun will come up tomorrow. I will agree with you that I overstated a little bit. Many secularly educated people don't know science, as can be deduced from the vaccine debate. I've been ready all of this really interesting debate that I started. It seems to me that a lot of the back and forth revolves around proving or disproving that we have to accept what Chazal said when they speak about scientific matters. If we indeed have to accept what Chazal said about scientific matters, even if we know that they were wrong, then that implies we have to accept what they said about other matters, where they speak with a greater measure of authority, even if we can show they are wrong there also. One could say, I think, then why bother to think about what they have say? Just blindly march in line and do and THINK the way they say they say we should. Questioning them, while perhaps and interesting exercise, it just a frustrating waste of time. They become not wise sages but a bunch of fascist dictators, in thought and deed (we have to think and do as they say). Is that really what they are supposed to be? We become like the Borg, just cogs in the collective, subject to the overpowering mind of the collective. Right and wrong loose all meaning. Real independent, creative thought becomes an anathema, a violation, illegal, heresy. Is that what you are advocating? Because that is what you are really supporting when you claim that they, individually or collectively, are inerrant. Certainly, one should take their words very seriously, consider them carefully, but in the end, as all men are liable to do, allow that they might have gotten something wrong. We spend all of this time and mental energy digging into the subtleties of the Gemora but do many ask the really tough questions? Do we really ever question our axioms? Does it ever occur to anyone to ask, "How do we know that we know?" I don't think so. As I find out more and more of the details of this religion, I find it harder and harder to subscribe to it because of the irrationality and self-contradictions that seems to be required to be accepted. We only pretend to be people who value learning when we put limits on where that learning may take us. Sometimes I think there is a confusion between heresy and objective truth. Or, one is charged with heresy when the question or the facts conflict with the doctrine. This discussion seems to me to be between representative of the rational, truth-seeking minority and a representative of entrenched, dominate, powerful, fascist dictators. Yeah, those who are in power are, in my estimation, really that awful. I can't trust or follow men with such a fatal character flaw, no matter what other redeeming qualities they may have. None of what you said discounts the quote I cited from the Sefer Hachinuch. The logic behind following the majority is that they are most likely to be right. (If we somehow know they are wrong anyway, there maybe another reason for following them, but that is a secondary issue.) And it isn't clear from the Sefer Hachinuch that we can use science to determine that Chazal were wrong. The Ramban didn't find *hints* to his updated explanation in the pesukim. He realized it was the poshut pshat of the word "nosati" instead of saying "ani nosein". Nothing you said (for the third time now) is adding to the discussion at hand. Themes aren't spelled out. They emerge from the recurrent pattern you see over and over again in the literature. Rav Meiselman used the Stincus Marinus controversy as a case in point. We see a common theme emerge from how each posek approached the problem. "None of the great Achronim thought the integrity of the mesorah about fins and scales was at stake. No-one suggested that perhaps Chazal had erred. Their reaction was instead that one had to understand the halacha better, that one had to understand the facts better." In every generation, gedolei poskim are faced with facts that seem to contradict the halacha. Their responses may vary, but none (except a very tiny handful) resort to the approach that Chazal were simply mistaken -- yet we have to follow it anyway. Again, please familiarize yourself with Rabbi Bleich's article. He is an undisputed expert in halachic literature and he certainly knows what the consensus holds. (Nightfall is not a counter-example because as you said, the halacha is not inseparably based on any astronomical theory in the first place. The minute you factor out the group of sources that affirm Chazal could be proven wrong by other members of Chazal (duh) and you focus on the group which claims we TODAY have the authority to determine that Chazal were wrong, you go down to a very tiny handful of people. SO much of Slifkin's alleged sources of support are TOTALLY irrelevant to the reason he was banned. Rav Hirsch happened to agree that Chazal could not be wrong about science when it comes to halacha. He says so in that letter! Why? Because he knows there is overwhelming consensus about that. RSZA didn't personally hold of this approach. "In every generation, gedolei poskim are faced with facts that seem to contradict the halacha." That's not true. There have hardly been any that were faced with them. I'm sorry, but your line of argument has become incoherent. You've already admitted that even in halachic matters, "definitive" statements of Chazal can be "wrong" (as they were wrong about the Tanur Shel Achnai). Since we're allowed to read the Gemara and realize that they were incorrect, it is clear that there is not mandate to believe that Chazal's conclusions are always correct. In fact, one could argue that we're not allowed to believe that, in that the Gemara itself records the events. You then argued that definitive statements of Chazal in halacha are "most likely" true, we must believe that they are 100% correct. This is a pretty bizarre notion and it is already proved wrong in the last paragraph, but let's keep going. You try to bring support from the Chinuch's statement that we must follow the majority in Halachah. 1) To begin with, this is no support, since this has nothing to do with belief, but action. 2) You point to the statement "הודיעתנו התורה שרבוי הדעות יסכימו לעולם אל האמת יותר מן המעוט." You don't elaborate on how this proves your point, but I gather that it goes like this: this statement is telling you that whenever there is a majority, then the Torah guarantees that they are right. Of course that is wrong because of Tanur Shel Achnai. Alternatively, you mean that we must believe that it true even though we're not really sure because there is a principle in the Torah that you must believe the majority. The problem then is that the Chinuch explicitly explains why we follow the majority (you well know that whenever the Chinuch speaks of "משרשי מצוה" he is giving the reason). He doesn't that individuals made up their own mind that they must believe the majority. He says that it is because practically speaking you will end up with a crazy quilt of minhagim, so that it is better to do things wrong than to have the Torah split into many Torah's. Meaning you should follow A even if you know that B is really true because then at least everyone will do A and not half the world A and half the world B. All of that makes no sense if A is true or we must believe A to be true; then the reason be simply because: "A is true (or we must believe so)". Your theory has become even more incoherent. According to your theory, this is impossible "to somehow know that they are wrong anyway", since a definitive statement has been made. The very existence of this alternative and the fact that the halachah deals with this disproves your claims about definitive statements. And it isn't clear from the Sefer Hachinuch that we can use science to determine that Chazal were wrong. Again your logic becomes incoherent. If we are not required to believe that Chazal are always right in halachah, then certainly we are not required to believe that they are always right in science. The halachah that human Treifos are based on modern medicine implies what everyone knows: science advances and had advanced since the times of Chazal and the flat earth. Morever, the Chinuch's whole logic around conformity has do with practice. The Torah doesn't care if some people think that diet soda is effective in weight loss and other believe the opposite. Of course that that is even worse for your argument. He changed his interpretation of the Peshat itself because of Greek science. But we don't need to quibble. It is obvious that the plain meaning, adopted by many other Rishonim is that the Rainbow as created there, as the Ramban explicitly says. Moreover, the "את קשתי נתתי בענן" doesn't mean that it was put in a long time ago (as you can see from the later use of the phrase "זֹאת אוֹת הַבְּרִית אֲשֶׁר הֲקִמֹתִי" for the covenant that God just put into place a few pesukim before). Even if "את קשתי נתתי בענן" means "in the past", it could mean 1 second ago and that would in fact be the most likely meaning (if it doesn't just mean present tense which is also a plain meaning). He reinterprets it to mean "הקשת אשר נתתי בענן מיום הבריאה" which is something he gets from his conception of science, not from the pasuk. "I'm sorry, but your line of argument has become incoherent. You've already admitted that even in halachic matters, "definitive" statements of Chazal can be "wrong" (as they were wrong about the Tanur Shel Achnai). Since we're allowed to read the Gemara and realize that they were incorrect, it is clear that there is not mandate to believe that Chazal's conclusions are always correct." Where did you get the license to jump from "definitive statements of Chazal can be wrong" to "Since we're allowed to read the gemara and realize that they are incorrect"??! Let's see what we really learn from the Tanur Shel Achnai case. A Bas Kol comes out from Shomayim and declares that the majority were in fact mistaken in their ruling, but we follow the majority ruling anyway. This gemara does not grant every person a license to "read the gemara and realize they are incorrect"! Where on earth did you get this from? It is certainly coherent to maintain the following position. 1) The Sefer Hachinuch tells us that compelling logic behind the rule of following the majority of sages (not the theological/pragmatic rationale--which he gives later) is that the majority opinion is more likely to be correct than the minority opinion. This likelihood of correctness is the logical force behind the rule. 2) Does this mean we can KNOW FOR CERTAIN that each majority opinion is objectively the correct one? No it doesn't. It is in fact theoretically possible for a Bas Kol to come down and inform us that the majority opinion is mistaken. 3)But so what? Barring that, we have no license to make our own judgments about the correctness of the opinion on the majority. Find me one gemara where someone opposed a definitive teaching of Chazal based on his own logic or scientific research and didn't get reduced to a pile of bones. I never said we must believe they are 100% correct. I said we do not have the authority to declare they are mistaken. There is a HUGE difference. 4) Our working assumption--based on the compelling logic supplied by the Sefer Hachinuch-- is that Chazal's definitive statements were correct. Now what happens if we observe facts which indicate otherwise? But we never find an authoritative posek looking at the facts and declaring Chazal were mistaken. Again, I guess they theoretically could have been mistaken. It is POSSIBLE. But no-one I know of has heard a Bas Kol telling us that they were, so we should assume they weren't and keep looking for other solutions to resolve the conflict with the facts. I don't find this to be incoherent in the slightest. I'm not sure why you do. "He reinterprets it to mean "הקשת אשר נתתי בענן מיום הבריאה" which is something he gets from his conception of science, not from the pasuk." He isn't rejecting Chazal's interpretation of the posuk, just another competing pshat which may be more compelling in context. I don't know why this is controversial or makes anything worse for my argument. In fact it makes it worse for Rabbi Slifkin's approach. Rabbi Slifkin wouldn't even try to reconcile the pesukim with science. He would look at this posuk and say the Torah must be propagating a myth that was prevalent in the ancient world that rainbows were created after "the Great Flood". The Ramban is doing exactly what he should be doing--reinterpreting the Torah to *avoid* a conflict with the science instead of saying the Torah was mistaken. But maybe you are making another argument. Maybe you are simply trying to establish the notion that we need to take science seriously and not simply dismiss it when a conflict with Torah arises. Well I certainly wouldn't disagree, but I'll add that it would depend on what kind of science is shown to be in conflict. If it is directly observable facts, or "operational science", then yes, a solution needs to be found. But if is in the realm of the "historical sciences" then as the Rambam said in Moreh II 17, we can pretty much dismiss it out of hand because our mesorah from prophecy is superior than any conclusions from the historical sciences. You claimed that the Ramban believes that the entirety of all sciences is encoded in the Torah because he says that there is either an explicit statement or Remez in the Torah for all of science and that this is to be interpreted using the tools by which the Torah is interpreted and not via scientific inquiry so that that knowledge derived from Pesukim trumps science. I pointed out that Remez doesn't mean "encoded", but hint, and hints require other knowledge to "decode". I then gave an example of the Ramban doing exactly that; he uses his knowledge of science to "decode" the meaning of the Pasuk and says explicitly that he would have understood the Pasuk differently without his scientific knowledge. This is evidence of how he thinks that the relationship between science and the Torah works. The main problem with your theory is lack of evidence of this supposed method of learning science and how well it works. In fact it makes it worse for Rabbi Slifkin's approach. Rabbi Slifkin wouldn't even try to reconcile the pesukim with science. I don't want to argue about what "Rabbi Slikfin's approach" is. But the issue with reconciliation is that the Rishonim tried it and failed. They correlated various words in Bereishis with the 4/5 elements, hyle, etc, and all of those concepts turned out to be mistaken. In modern times, the attempts at reconciliation are pretty weak as there doesn't seem to be a lot of correlation (Schroeder and others). If the Torah's intention was really to teach science, it doesn't seem to have worked well. That is why people suppose that perhaps this was not really the purpose of that section of the Torah, in the same way that the physical descriptions of God are not intended to actually be physical descriptions of God, although many mistook them to be such. Certainly reconciliation is another possibility and probably a better one if reconciliation can be found. This has not thing to do with my original point, but lets stick with this. This reinterpretation has no basis in Chazal. It may very well conflict with their interpretation. And the Ramban feels that can conflict with Chazal's interpretation as he tells use when interpreting the progression on how the floodwaters receded. Well I certainly wouldn't disagree, but I'll add that it would depend on what kind of science is shown to be in conflict. If it is directly observable facts, or "operational science", then yes, a solution needs to be found. But if is in the realm of the "historical sciences" then as the Rambam said in Moreh II 17, we can pretty much dismiss it out of hand because our mesorah from prophecy is superior than any conclusions from the historical sciences. 1) The science that the Rishonim used to reinterpret the Torah was weaker than any science we have today. We know that because it is mostly wrong. 2) The antiquity of the earth is as firmly established as anything else in science and has made confirmable predictions. 3) The Rambam says that if we could prove the Greek theory of the eternity of the Universe, he would reinterpret the Torah to accomodate. And he goes on many, many pages to that while he can't disprove Aristotle's theory of the eternity of the universe, neither is it proven. According to your theory, he should have simply said "we can pretty much dismiss it out of hand because our mesorah from prophecy is superior than any conclusions from the historical sciences." More importantly, you've just reduced your whole argument from a theological one to a scientific one. By your theory, anyone who thinks that an ancient earth is compelled based on what our eyes tell use is actually compelled to do a reinterpretation of the pesukim. You are just claiming to know science better than actual scientists. You misinterpreted my words. What I said is that we are allowed to study the sugya of Tanur Shel Achnai, so we are allowed to believe that P'sak can come to the wrong conclusion and that we follow it anyhow (at least in some cases; if we are really expert enough to know that the Sandhedrin made a mistake in its reasoning, it appears that we are not allowed to follow and are held responsible for following incorrectly). Actually you could say that we are required to believe that Chazal can be mistaken. But your statement that "A BAS KOL is authorized to make this determination" is kind of silly. There is not "determination" to be made and no authorization to talk about. Most importantly you see, as the Chinuch says explicitly, that P'sak follows a majority for practical reasons. Not because it is infallible. So if there is a factual statement we can see is mistaken, we are not required to believe otherwise. To take a simple example, the Bavli is unaware that Apikorus comes from the name Epicurus (which is not surprising as they didn't speak Greek in Persia) and tries to derive its meaning from the word Hekfer. Are we religiously required to believe that the work Apikorus doesn't come from Epicurus? You don't need a Bas Kol to tell you that the earth is not flat or that it is ancient. "Most importantly you see, as the Chinuch says explicitly, that P'sak follows a majority for practical reasons. Not because it is infallible. So if there is a factual statement we can see is mistaken, we are not required to believe otherwise." I see that I did not misinterpret your words. I'll repeat: You cannot get from the Sefer Hachinuch's acknowledgment that Chazal were not infallible and could possibly be mistaken, to conclude that you, David Ohsie, have the authority to determine that any given definitive factual statement of Chazal is IN FACT mistaken. Again, the most you can glean for the Sefer Hachinuch is that any given factual statement of Chazal COULD BE mistaken. When you take a survey of Shas, what you see is 1) A heavenly Bas Kol determining that Chazal were mistaken, 2) Some members of Chazal determining that other members of Chazal were mistaken, 3) when a non-members of Chazal tried to claim that a definitive statement of Chazal about the world was mistaken based on their observations or scientific research, they are disbelieved/reduced to a pile of bones. From this survey, I (and all traditional Orthodox poskim throughout the generations) gather that David Ohsie does not have the capacity/credibility/authority to determine that Chazal's definitive factual statements are in fact mistaken. Traditional Judaism seems to require one to suspend judgment and look for some resolution--while still entertaining the POSSIBILITY that they were mistaken. "I pointed out that Remez doesn't mean "encoded", but hint, and hints require other knowledge to "decode". I then gave an example of the Ramban doing exactly that; he uses his knowledge of science to "decode" the meaning of the Pasuk and says explicitly that he would have understood the Pasuk differently without his scientific knowledge. This is evidence of how he thinks that the relationship between science and the Torah works." Instead of responding, I recommend you read the Ramban's intro to Chumash more carefully before constructing theories of how the Ramban understood the concept that all wisdom is contained in the Torah. "1) The science that the Rishonim used to reinterpret the Torah was weaker than any science we have today. We know that because it is mostly wrong. 2) The antiquity of the earth is as firmly established as anything else in science and has made confirmable predictions..."
"...By your theory, anyone who thinks that an ancient earth is compelled based on what our eyes tell use is actually compelled to do a reinterpretation of the pesukim. You are just claiming to know science better than actual scientists. I see that you haven't studied the history of science nor the philosophy of science. I don't claim to know science better than actual scientists. I'm just able to think critically about the methodological assumptions they are unwittingly making. Any scientist (or layman) who claims the evidence for ancient earth is directly empirical and requires no assumptions and no extrapolations is simply revealing his ignorance of elementary logic and a lack of self-awareness. "But your statement that "A BAS KOL is authorized to make this determination" is kind of silly. There is not "determination" to be made and no authorization to talk about..."
"...You don't need a Bas Kol to tell you that the earth is not flat or that it is ancient." From these lines I can see that you are not really open to understanding the opposing view. You seem to have your dogmatic views about what science can know for certain (I'm referring to an ancient earth here) and you are not capable of questioning them. I don't see much point in debating you further. Let's take "David Ohsie" out of this because that is beside the point. What you seem to know be asserting is that there is a prohibition for post Chazal personalities to doubt the truth any "definitive" factual statement of Chazal. However, if you feel that this is true, then it is incumbent upon you to produce the evidence for such a prohibition. Otherwise you assume your conclusion. Therefore he provides no evidence for your assertion that it if forbidden to believe that any given statement of a majority is false. Moreover his reasons for accepting any majority (he doesn't refer directly to Stimas Hashas) is not that they must be right, but that we must have a common practice, even if that common practice is wrong. This undercuts your argument about being forbidden to believe anything decided by a majority is incorrect. As an aside, I'll point out another huge problem with your evidence from the Chinuch. As I pointed out above, he says nothing about pre or post Shas majorities. So his principle applies to all majorities, even post-Shas. Thus TCS's position that all of the Rishonim and Acharonim mistakenly believed in spontaneous generation and attributed this mistaken belief to Chazal violates your putative requirement to accept a majority no matter what. OK, so this provides no evidence for your proposed prohibition. Again, no evidence for your proposed prohibition. 3) when a non-members of Chazal tried to claim that a definitive statement of Chazal about the world was mistaken based on their observations or scientific research, they are disbelieved/reduced to a pile of bones. So your "survey" depends on your interpretation of a single story from the Gemara. 1) Rabbi Yochanan's statement was not a definitive statement of Chazal, it was the statement of a single great Rabbi which according to your theory can certainly be mistaken and can certainly be argued with. 2) There is no evidence that this Derashah is universally accepted, and in fact it is almost certainly not accepted by all. It is highly doubtful that, for example the Rambam (or Mar Shmuel) believed that there will be a miraculous creation of pearls that are thirty by thirty cubits at the time of the Mashiach. We also don't see that there is any requirement to believe that the natural creation of such pearls (by giant oysters?) is a mandated belief. As the Rambam says, the details of the Messianic times are neither well understood nor particularly important. 3) While you can argue that the student was "not a member of Chazal", our universal practice is that a student is allowed generally allowed to question his Rebbi's interpretations of the Torah. So while it is an interesting story that has been variously interpreted (see here), we don't directly take practices from it. 4) It goes without saying that Rishonim like the Rambam would interpret the story as Rabbi Yochanan getting angry and embarrassing the student, not actually killing him with a gaze which would be both beyond Rabbi Yochanan's power as well as being prohibited even if he had that power. 1) The Rishonim don't agree with your principle. They are perfectly willing to differ with Chazal on interpretations of the Torah, as long as they don't impact the halacha. The Ramban make this explicit in his explanation on how the floodwaters receded which contradicts that of the Midrash. There are many other example, for example the Ramban argues that Maarat Maarat HaMachpelah is not named after the double nature of the cave as the Midrash explains. 2) This is true even in scientific matters. For one of many examples see Ramban Vayikra 12:2. (H/T Torah Science Blog). The Ramban offers the position of the Greek philosophers in opposition to Chazal and the doctor's on what the father and mother contribute to a baby's development. In fact all 3 of them were incorrect, since, as TCS notes IIRC, the microsopic world was not known to Chazal. 3) As R Slifkin has pointed out, for many of its novel interpretations, TCS rejects the universal understanding of the Rishonim in both science and Torah. 4) You don't show a single example (other than possibly the admittedly incorrect parts of the Rashba) where someone is required to reject something that has a firm basis in scientific observation. I reread that and the Ramban explicitly says that various wisdoms were given directly to Moshe and that you could not interpret the hints in the Pesukim without access to that wisdom. You didn't actually address the point at all. The science which the Rishonim used to reinterpret pesukim was much weaker than the science of today, in that most of it was wrong. Also, the halachos of human Tereifos (according to Rav Moshe) shows is premised on the notion that moderns have a greater understand than the ancients did. I don't claim to know science better than actual scientists. Scientists have shown through many, many lines of conclusive evidence that the earth is quite old. You are claiming to know better. But it matters not. You have now reduced the entire subject to a scientific controversy and not a religious one. I'm just able to think critically about the methodological assumptions they are unwittingly making. Any scientist (or layman) who claims the evidence for ancient earth is directly empirical and requires no assumptions and no extrapolations is simply revealing his ignorance of elementary logic and a lack of self-awareness. Ummm, no. As Hume showed, all science is "extrapolated". There is no logical reason why all of the laws of physics cannot be different today than they were yesterday. But given our everyday assumptions that we use to get up in morning, we can learn a lot about the past. Moreover, extrapolations to the past can be tested just like any other theory. But again, you disagree with settled science of the rest of the world, not with any matter of theology. And whenever it is a matter of inference or speculation which was in conflict with Jewish tradition, the Rambam declares triumphantly that the Torah and Chazal knew better. This is untrue. What he says is quite tentative and not triumphant: "If, however, we accepted the Eternity of the Universe in accordance with the second of the theories which we have expounded above (ch. xxiii. ), and assumed, with Plato, that the heavens are likewise transient, we should not be in opposition to the fundamental principles of our religion; this theory would not imply the rejection of miracles, but, on the contrary, would admit them as possible. The Scriptural text might have been explained accordingly, and many expressions might have been found in the Bible and in other writings that would confirm and support this theory. But there is no necessity for this expedient, so long as the theory has not been proved." That's kind of a universal answer: "you are not open to understanding." We won't agree, but again, all you've done is to say that if your own unique theories about science are correct, then one need not reinterpret the pesukim, but if they are not correct and conventional science is correct, you have shown no theological reason for rejection. Yes it is crazy to think a doctor is a car mechanic. It's also equally crazy to think the Sages of old knew all biology, chemistry, physics and math, all of it, supremely well. Nothing could be further from the truth, your nutty, angry shul mates notwithstanding. But this is what divides the rational and irrational today: the "infallibility" of our Talmudic sages. Glad you're in our camp.